A hilarious collection of poems from the creator of the best-selling DUCK IN THE TRUCK series. Her pet rabbit's run away. In English, Miss Chadwick was in a bad mood. At lunchtime we all made a mess with our food. She leaned back too far and fell off her chair! 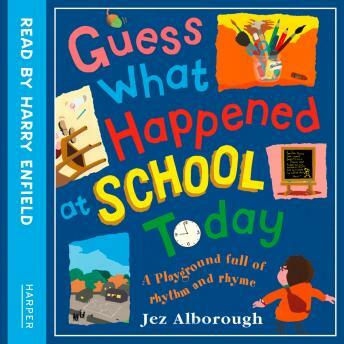 Jez Alborough's hilarious rhymes describe a typical day at school, as seen through the eyes of various pupils.